Managing each and every minute details for opening a restaurant sometimes turn out to be a job which is not only hectic but also equally challenging. There are so many things about which you need to pay attention and one of the major among them is the design and material of the Menu Covers. It is not just a cover for you it is one type of passport which helps you in making a direct entry in the hearts of the customers who will be visiting your cafe. in other way round you can call it a tool of marketing which need to be used very carefully to make your presence felt in the mind of the prospective customers who for at least once will visit you to check what you are serving. You need to capture their minds and make them you trusted customers for life and for that at the very first step you need to have an attractive yet professional Restaurant menu covers. 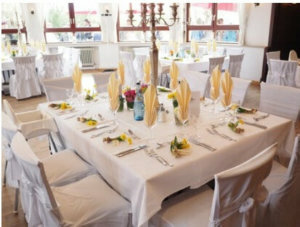 You need to keep in mind while making the selection of cover-up that for different restaurant theme there will be different format and even for the same restaurant where food and drinks are served, you need to have separate menu with cover for food and drinks. Many are not aware of the fact that the size of over also play a very responsible role towards creating an impact on visitors. There are different materials which are also used in its making and if you are willing to make use of leather to give a rich look then that will be bit expensive. There are even designs available in the market which will only be made on customized orders and special artists will be used for its making and that too will be on the higher end when comes to cost. If your budget is low, then also there is nothing to worry as there are many designs which are highly affordable and will give a killer look to the pouch of menu. You need to make it clear to the company as what you are expecting from them and based on your restaurant theme, food specialty and interior the experts of the companies will share with you some designs. You need to select the one which suits you requirement or you can suggest some modification in the existing designs to make a unique one for your cafe. Based on your requests the designing will be done and same will be delivered to you. You can search online to discover the best company in this field which can offer you desired services.